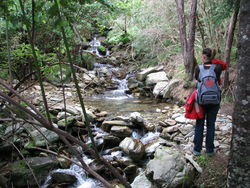 The Queen Charlotte track is heralded as one of the premier New Zealand hiking trails. It is renowned for it's relaxing coastal walks. 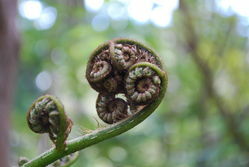 From fern fringed bays and lush green forest to stunning skyline vistas, it's easy to see why. with the majority of the streams bridged, and has a variety of gradients and surfaces with a wide compact base, hence stout footwear is advised. water bottle, as your overnight luggage is transferred by water taxi each day. relax and travel to each lodge via water taxi. Optional Kayaking - afternoon of second day, sit on top kayaks / Entertaining interpretation of cultural and natural history / Flexible itineraries for a holiday as active or as relaxing as you wish / The option of water taxi transport to each lodge if required (extra cost). Return water taxi back to Picton from Anakiwa. 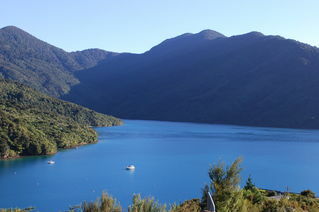 Picton - Endeavour Inlet. Approx. walking time - 5 hours. Pick up from local accommodation. Boat cruise from Picton - A full commentary is given as we make our way along the Queen Charlotte Sound, before stopping to visit a protected, predator free island to see rare saddleback birds. 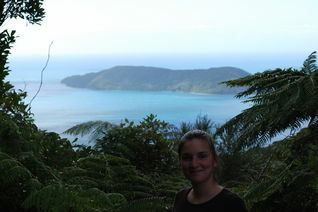 Fabulous 360 degree vistas as we walk amongst tree ferns and nikau palms to our accommodation for this evening. 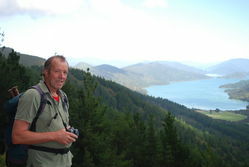 Endeavour Inlet to Camp Bay. Approx walking time - 4 hours. After a relaxed breakfast we make our way around the bay to the lodge at Camp Bay. Discover the fascinating mining history of this area. 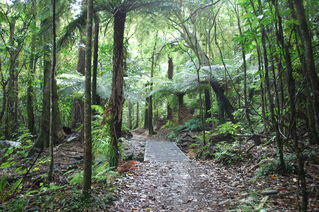 The highlight of this afternoon's walk is the abundance of native bird life along this section of the track. We may even have the opportunity to meet one of New Zealand's cheekiest native birds, the weka. Camp Bay to Torea Saddle/Portage Bay. Approx. walking time 7.5 hours. Today's section of the track involves expansive ridge top walking with stunning views for the majority of the day. Considered the most challenging day of the trip, yet extremely well rewarding. For those who feel like a rest, the option of taking a water taxi to the Lodge is available (extra cost). Anakiwa. Approx. walking time 6.5 hours. After another filling breakfast we set out for our final destination, Anakiwa. A mixture of established native beech trees and regenerating forest makes up today's walk. Lunch today is served from a look out point with breathtaking views before making our way to the end of the track. Once we arrive in Anakiwa, our water taxi will be waiting to take us back to Picton.